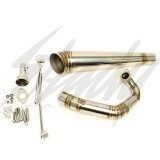 Gojin GP Exhaust System for GY6 125cc or 150cc engines! Will fit most common rear tire set up, from non-fatty, 7" Fatty, and 8" Fatty! 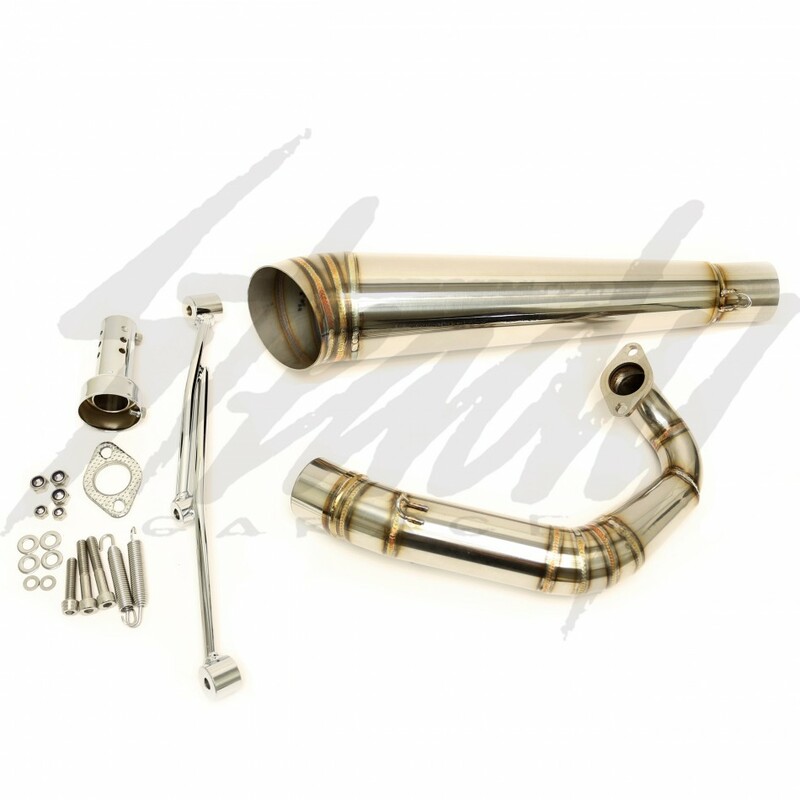 Designed for those who likes their bike very low, the header has great ground clearance and the muffler position will clear the rear frame. Come included with everything needed! Great deal! 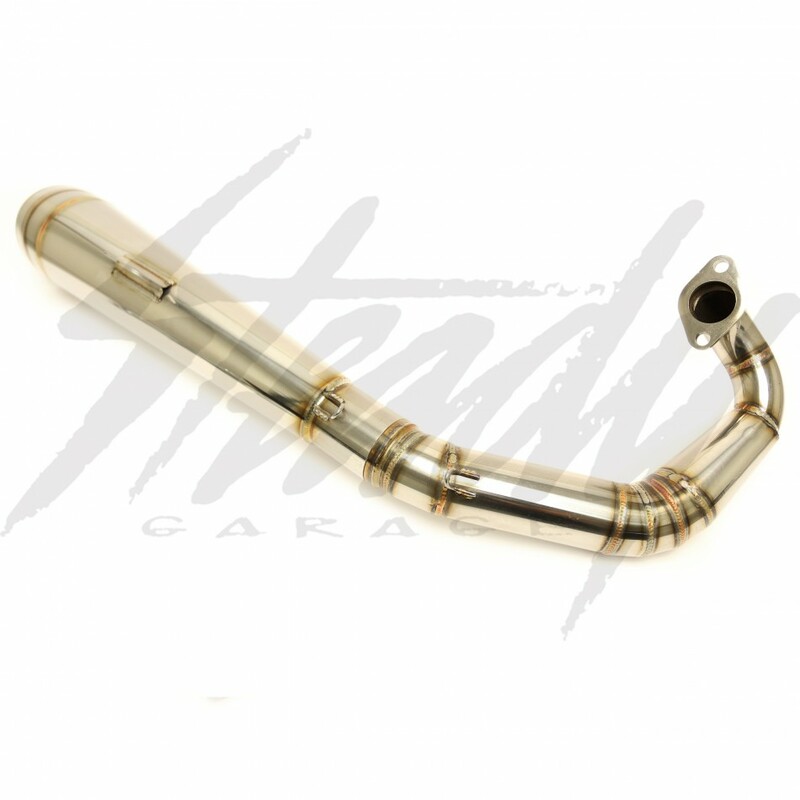 Made from full stainless steel, TIG welded, and polished for the final finish. 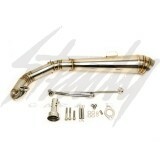 The exhaust bracket is made from heavy duty steel that has been chrome plated for a very nice finish.